This story originally appeared in the October 2017 issue of InSpire Magazine. 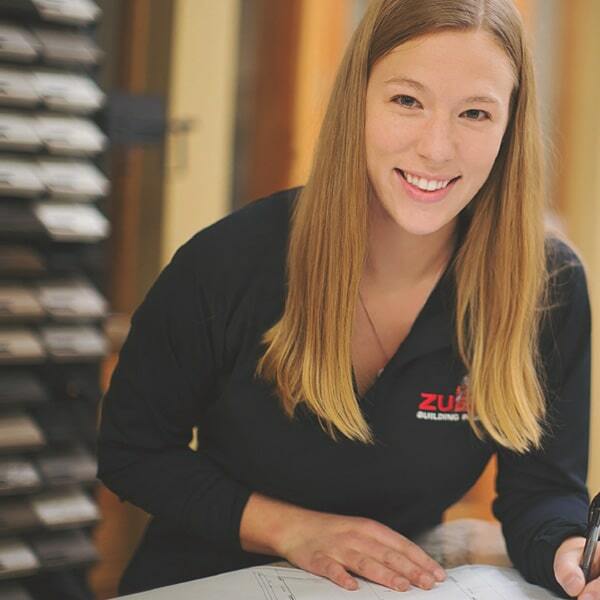 residential estimator at Zuern Building Products in Allenton, a job that was traditionally reserved for men a generation ago. Her main duty is to create material lists for primarily residential construction projects. 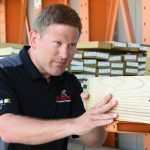 These lists can include everything from rough lumber and siding to interior mill-work and windows. 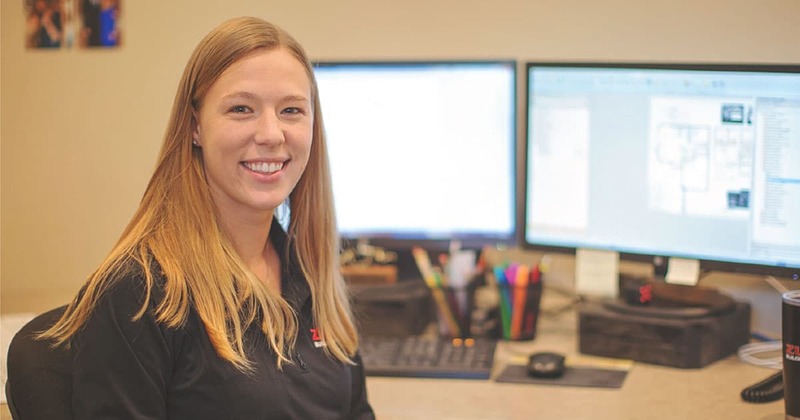 Annette says, “On a typical day, I work on sizing and designing the structural components of the building and determining what materials are needed. Most days, I also spend a good portion of time problem-solving with salesmen and builders and answering any questions they may have on the projects I have done for them.” Annette says she feltwell-prepared and confident about her position when she first began because of the training she received at Moraine Park Technical College. As a result, the fact that she is a woman has not been an issue. eer paths as well as the building and creating side of the program. 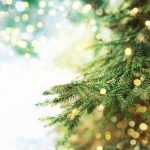 She had been home-schooled, so the classroom experience itself was completely new, but she says, “The beginning of my first semester in a classroom filled with all guys was a bit daunting. I walked into that classroom and I was the only girl – and a blonde at that.” It took a few weeks before she became more comfortable and realized that both her program teacher and classmates were welcoming and helpful. “I can honestly say that not once have I felt stereotyped or discriminated against. In school, my teacher never treated me differently than any of the other male students,” she recalls. “I am learning so much about residential construction, and my co-workers are incredibly knowledgeable and willing to teach me,” she says. She is grateful to have been the recipient of a scholarship through the college. Because of that financial help, she was able to concentrate her efforts in school on learning and did not need to hold down a job at the same time. “By knowing I didn’t have to find a job while still in school just to afford my education, I was able to get the most out of my time at college as well as give back to my fellow students and the community,” she says. Annette was involved in several school organizations, including the Civil Engineering Technology Club, and she also served as a tutor for fellow students, helping them understand concepts and succeed in their efforts. “I loved tutoring for the Structural Analysis class. It was probably my favorite class in the whole program,” she says. While there are those who say there is still discrimination in the workplace, Annette believes there are opportunities for anyone in any field if they have a sincere interest and ability. “So much attention is given to the presumption that women will not be treated equally when entering traditionally male careers, but nothing I have experienced supports that theory,” she states.